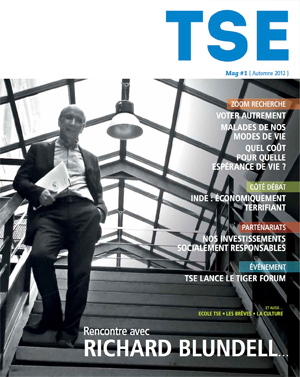 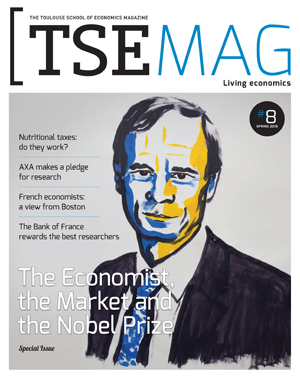 Our trimestrial magazine bringing you the latest research, news and debates from Toulouse School of Economics. 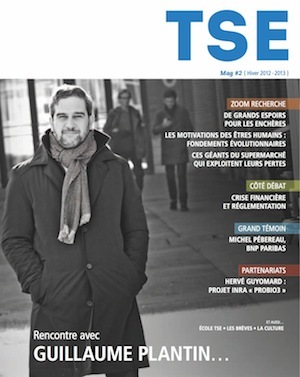 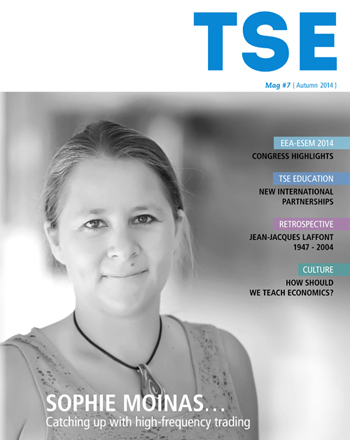 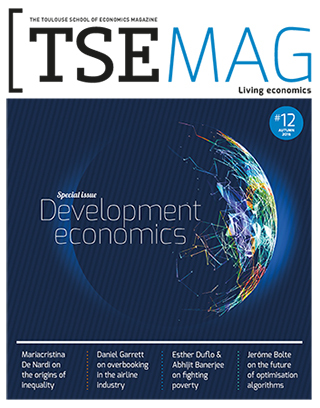 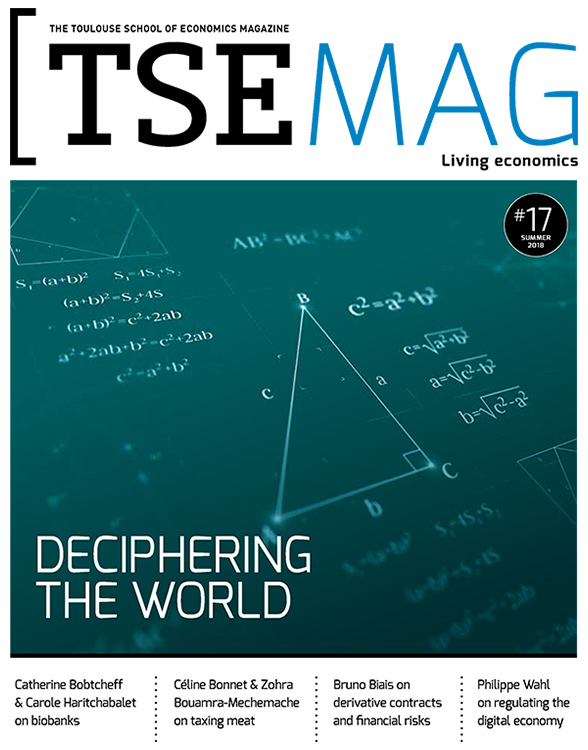 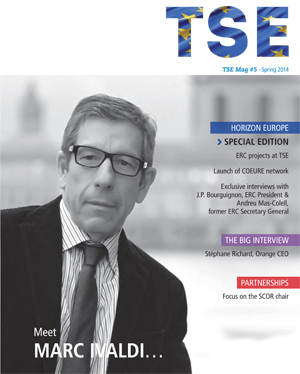 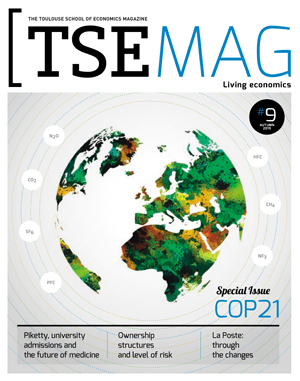 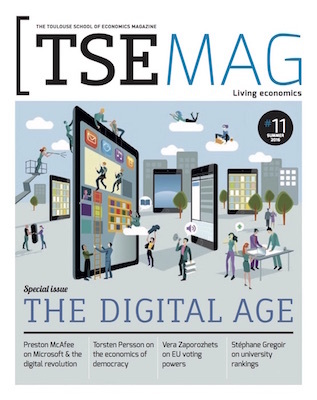 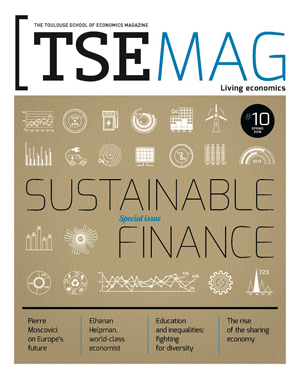 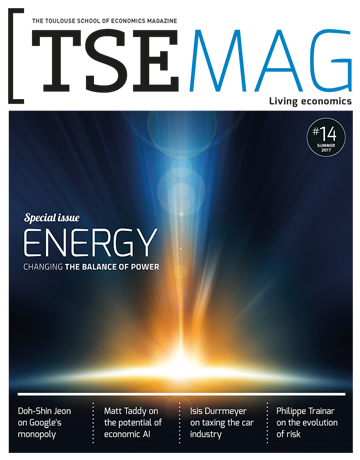 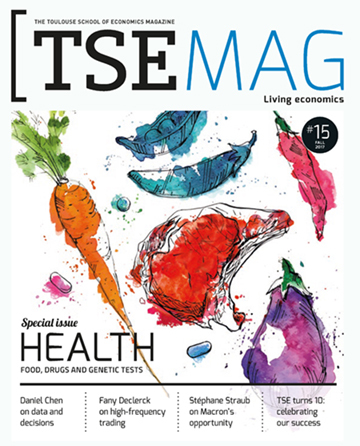 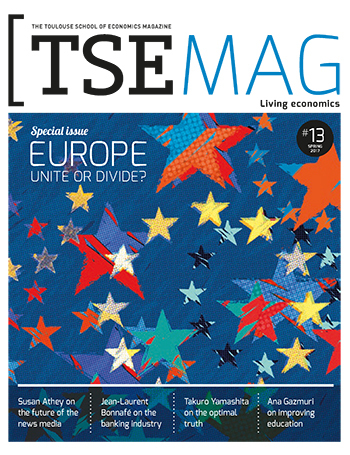 If you want to receive our TSE Mag, simply enter your mail by following the webform. 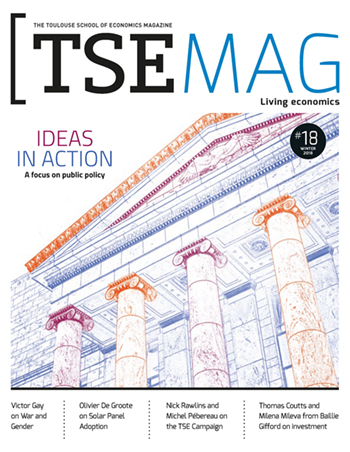 How should we teach economics? 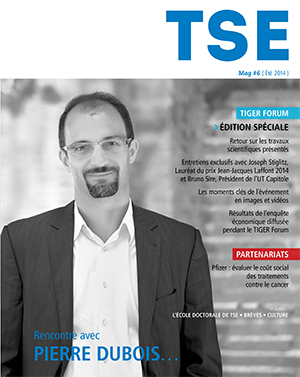 A sneak peak at the programme of the 2014 edition of the Tiger Forum. 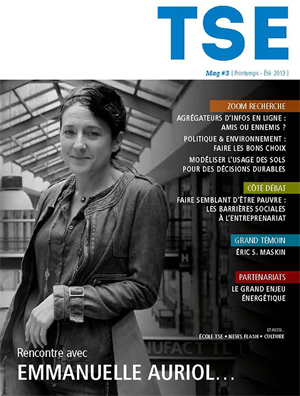 Highlights include the big interview with Eric S. Maskin, 2013 Jean-Jacques Laffont Prize laureate, thehot topic on social protection in developing countries with Emmanuelle Auriol, TSE researcher, and thepartnership pages with Claude Crampes and Thomas-Olivier Léautier on the EDF-IDEI "great energy challenge". 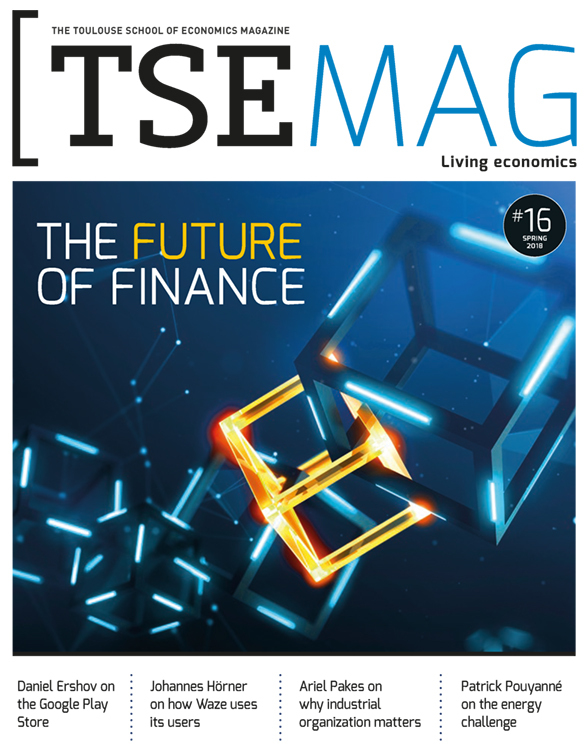 Highlights include the big interview with Michel Pébereau, Honorary President of BNP Paribas, the hot topic on financial crisis & regulation with Guillaume Plantin, TSE researcher, and the partnership pageswith Hervé Guyomard, INRA board member and scientific director.